One of my favorite things is eating making pasta. It's so easy yet so customizable- everything from the cheesiness (more is better I always say) to the spiciness (more is better I always say) can change the flavor and make a whole new dish. I find that one of the best ways to ensure you always have a solid sauce base on hand is to jar tomatoes. Not sauce, but whole tomatoes. This way, once you're ready to make some sauce, you can control what goes in, the consistency, and whether it's a blush, marinara, Bolognese, or anything else your heart/stomach desires. Here's how I jar tomatoes. 1. Wash jars and keep them hot. You can either wash them in the dishwasher and keep them in there to steam it, or bring a pot of water to a boil, turn off the heat and leave the jars in the water. I find it's easiest to just leave them in a hot dishwasher. 2. Wash your tomatoes and score them (make two shallow cuts in an X shape) If there are any imperfections, simply cut them off. 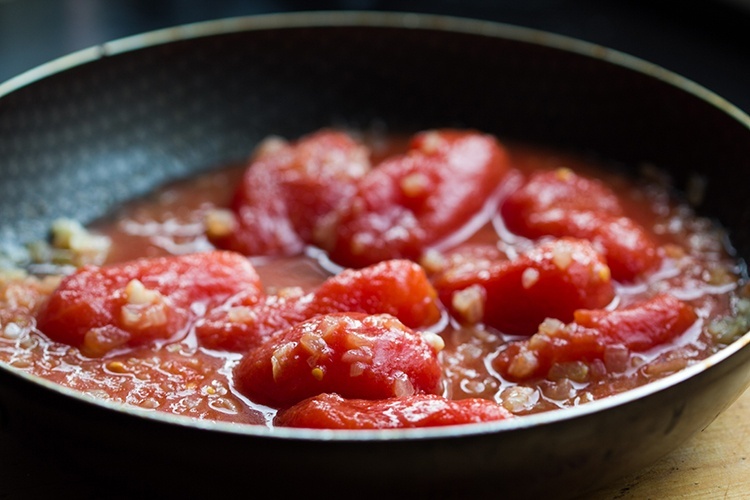 I love using Campari® or Romana tomatoes because of their well-balanced flavor and acidity. 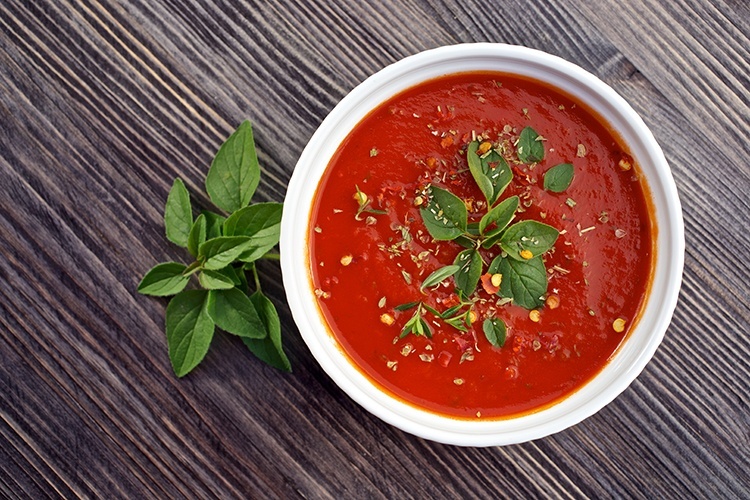 There's also a good flesh to juice ratio to ensure your sauce isn't too watery and is full of flavor! 4. Peel tomatoes (the skin should easily slip off) and place them in jars, gently smooshing them in until it's almost full. You can use the handle of a wooden spoon to help smoosh and get rid of any air pockets. 5. Add 2 tbsp of lemon juice or vinegar to acidify (this is for a quart. If it's a pint, you can use one tablespoon). This ensures shelf stability. You should have about half an inch of space at the top of the jar. 6. Apply the lids and screw them on. Ensure they are clean and there's no tomato juice along the mouth of the jar, which would interfere with the seal. Place into a boiling water canner (you can find these relatively cheap at most homegoods/kitchen stores) and ensure they're on a rack so they're not resting on the bottom of the pot. Cans should be covered by at least 2 inches of water. Cover and have it return to a full boil. Let them process for about 85 minutes after you reach the full boil. Bear in mind you might have to add some more boiling water to keep the level up. 7. After 85 minutes, take your jars out and let them cool COMPLETELY, avoiding drafts or a drastic temperature change. Once you get the hang of it you'll want to can everything! Not to mention these tomatoes aren't just for sauces- You can use them for soups or cut them in half and place them on pizza. All you need is a little basil and mozzarella!